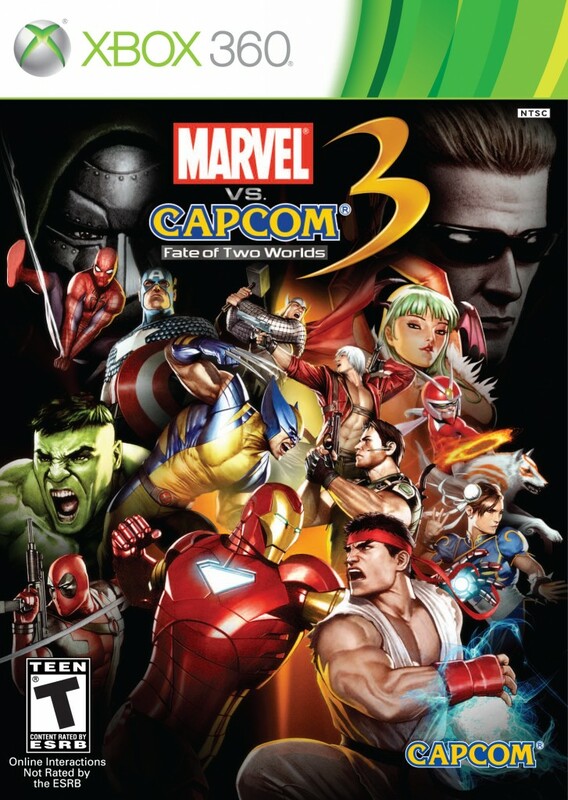 It has been over ten years since the last epic battle between Marvel and Capcom. Die-hard fans of the series could attest to the fact that the past decade has not been an easy wait. 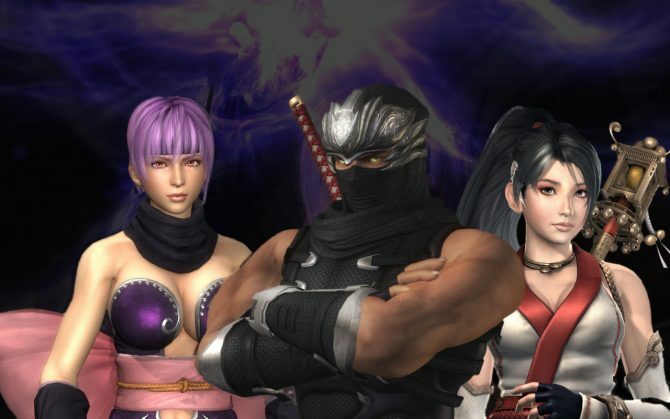 In the past two years, the vs. series has seen a boom with the releases of Marvel vs. Capcom 2 for XBL and PSN, and the Tatsunoko vs. Capcom Ultimate All-Stars for Wii. However, this wasn’t exactly what fans wanted. Instead, this could be seen as a test to see if people would still be interested in a new Marvel vs. Capcom game, and the fans have spoken. 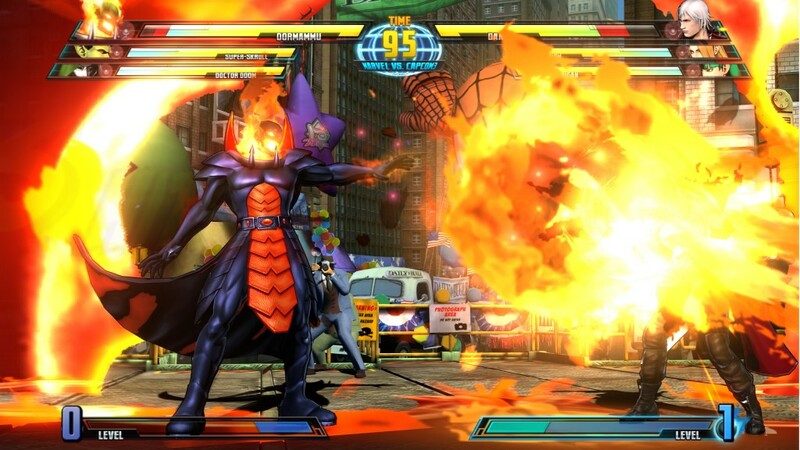 Marvel vs. Capcom 3: Fate of Two Worlds has finally arrived. 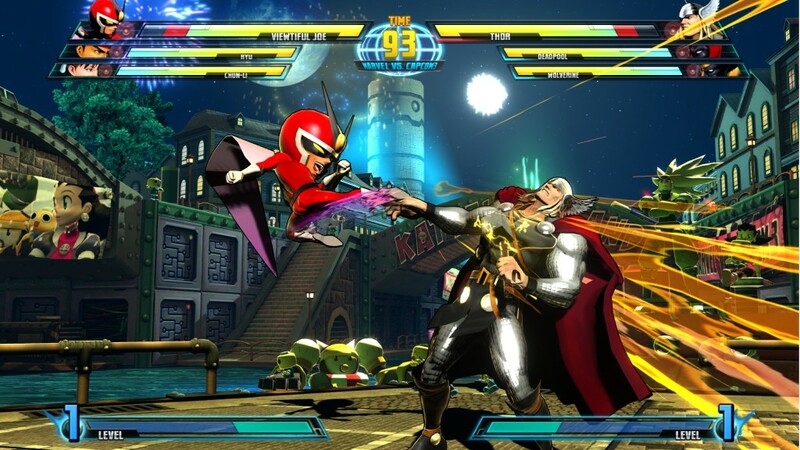 I don’t think I need to mention this, but just in case…Marvel vs. Capcom games take characters from both the Marvel universe and Capcom videogames, and then pits them against each other in a very flashy fighting game. Everything in the game is over-the-top, and the game plays as explosive and frantic as the characters featured in it. In Marvel vs. Capcom 3, you get to choose three characters, face-off against another three characters, and engage in battle until one team has been completely eliminated. Since each player has three characters, damage is pretty heavy (on default) and the amount of super moves per match go well beyond 8 or so. So, don’t think that with more characters per match than a conventional fighting game that matches last longer. Like I said before, this game is over-the-top. 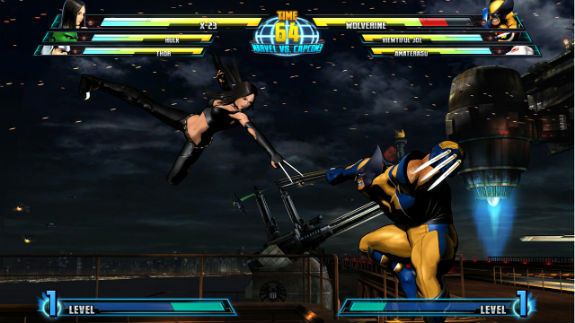 There’s never a dull moment, and this makes Marvel vs. Capcom 3 both a fun game to watch and play. Gameplay is very smooth, and it complements the game’s very smooth MT Framework engine. You play with the thumbstick or d-pad, and a total of 6 different buttons to play Marvel vs. Capcom 3. New players can get into the game with the game’s option to use simplified controls, but there is enough depth to require good players to eventually drop those training wheels. And don’t think this game is the button-masher it may appear to be. I can safely say, this game is by far the most difficult vs. game to land hits by simply button-mashing. This game is brutal — almost unforgiving — towards players who have absolutely no idea what their doing. Simplified controls isn’t a license to win for simpletons. Another new ability introduced to help players is X-Factor. X-Factor can only be used once per match, and it offers a timed boost in various areas such as speed and strength. This ability is more effective when the situation for the player is more dire, and this opens up chances for players in a large deficit to make a comeback. There is an arcade mode, training mode, mission mode, local 2-player mode, and an online mode to face challengers from around the world. Playing in every mode earns you player points. The more player points you earn, the more you unlock. There is a good amount of unlockables, so rest assured, there is plenty to come back for. The arcade mode consists of 7 stages, and is over fairly quickly. After going through 6 regular matches and defeating the boss, you get to see the ending of the character who delivered the finishing blow. This is the only place where you will see some of the storyline of the characters outside of the in-game collectible artwork and movies. Training mode is, of course, where you get to mess around with the game without worrying about a timer or finishing the game. In Marvel vs. Capcom 3, there is a great deal of customizable dummy and player settings to fit whatever new tips and tricks you’re trying to pull off. The coolest addition to this mode in my opinion is the ability to simulate different levels of lag issues. Although, I don’t think it quite captures the randomness and annoyance of authentic lag. 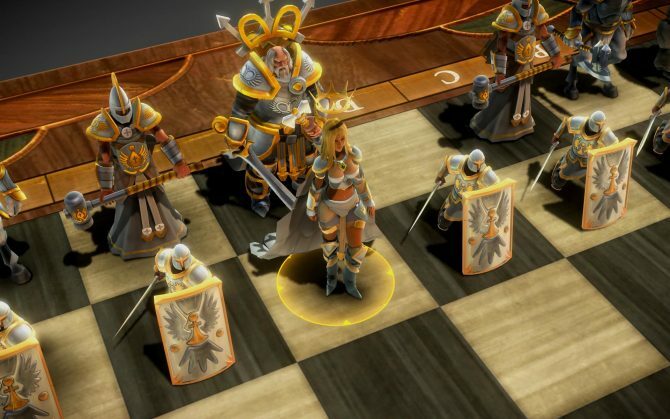 The game’s mission mode can serve as a good way to get players to learn how to play the game. This is where you learn the stuff you want to practice in training mode. Here, you are given a combo or a series of moves to pull off on a dummy who is ready to take a beating. Each character has 10 missions right off the bat, and getting through them is a pretty tough challenge. After going through some of the missions, players will be satisfied with learning a thing or two about their favorite characters. These are a handful of modes that you would expect in most fighting games, but unfortunately, that’s all the game offers. It makes this great game seem incredibly generic, and it’s too bad, because there is plenty that could have been done with the amount of star-power gathered on this disc. The online mode suffers the same fate, and even more so than the offline stuff. You can have ranked matches, player matches, or gather a lobby of players to have a nice big social meet. However, all the stuff that you would expect from a fighting game’s online mode is noticeably missing. There is almost no customization of matchmaking games. You can’t change damage or timer options. Another big letdown is the absence of spectating matches of players playing in your own lobby and recording your matches; especially with a game that is so visually appealing. I know it’s not right to compare this game to others, but these have become fighting game standards. How is one of the biggest fighting game releases in the past 10 years missing standard features? It’s a big shame. Overall, I have to say that fans have all the reasons to rejoice. 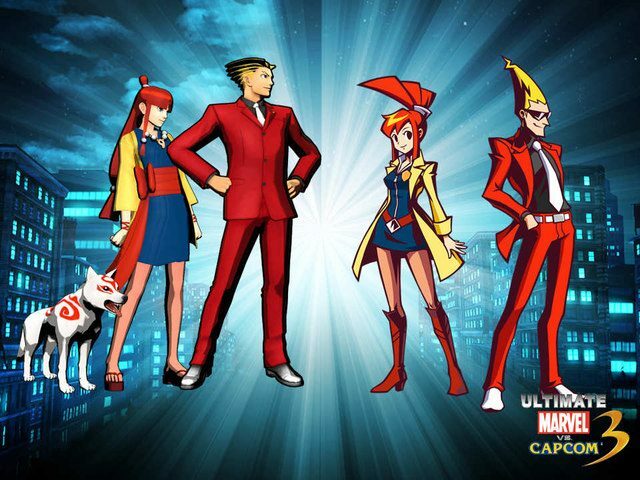 Marvel vs. Capcom is back! The character roster is a nice blend of new and old favorites, there are many nods throughout that both Marvel and Capcom fans will notice, and the gameplay is as solid as ever. Unfortunately, the lack of a bigger variety of modes hurts this game’s replayability and lasting appeal. The game does leave it open for more modes with downloadable content, but until then, Marvel vs. Capcom 3 remains just short of being a masterpiece. 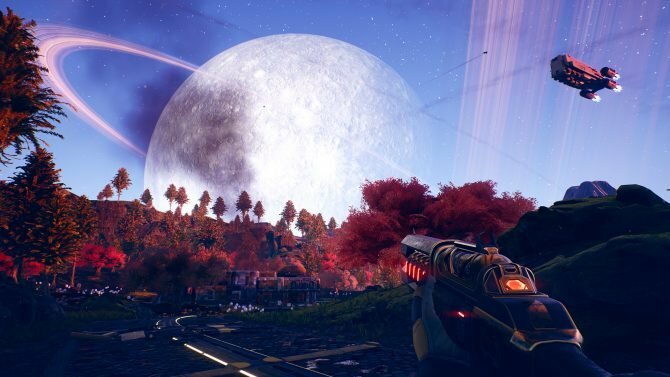 Review copy info: A copy of this title was provided by the publisher to DualShockers Inc. for the purpose of this review.